Let's everyone know I AM a proud Red Hat! Red hat more like "pink" hat!! A gift for a 86 yr.old "red hatter" and I was not satisfied in color tone of red hat..however she was pleased and that is all that matters. She also liked the convenience of removing the labels from sheets. friend who belongs to a Red Hat society group! I am a member of the Red Hat Society and recently moved.This label is very attractive... so glad I found it! This is a previous label order and I'm very satisfied. I needed new red hat labels, and they're hard to find. Like all things Red Hat! I'm in the Red Hat Society and needed new address labels with a red hat on them. Perfect for sending my Red Hat cards and notes to my Red Hat sisters and use for my Return Labels on the envelope. I've gotten them before at my old address and we just moved so I need new ones! I am proud to be a Red Hat Lady. I am a member of the Red Hat Society and this is exactly what I needed on my correspondence. I am a Red hatter. 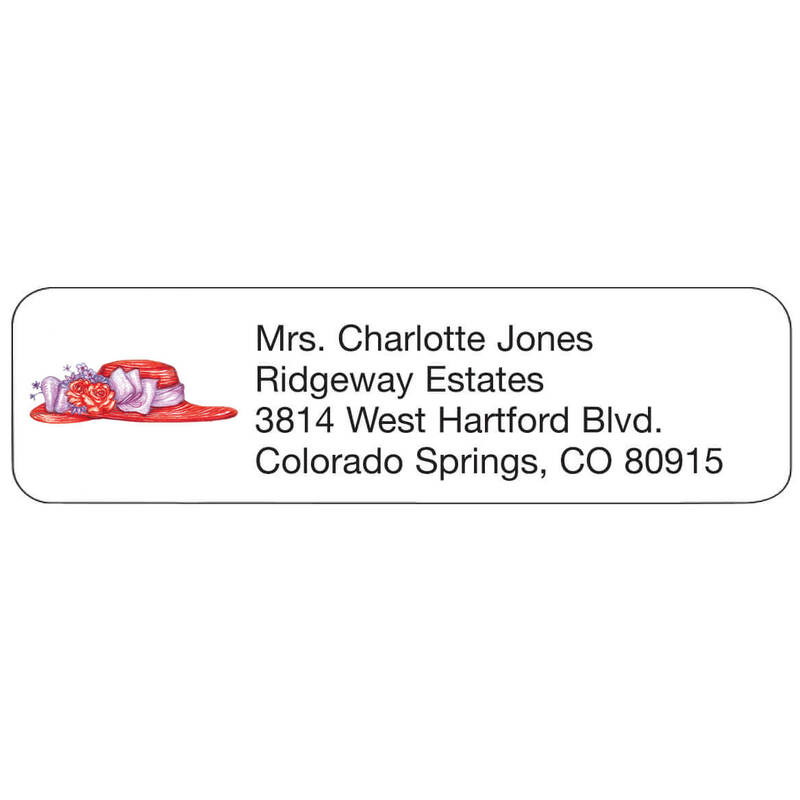 I chose these Red Hat personalized address labels for my envelopes.